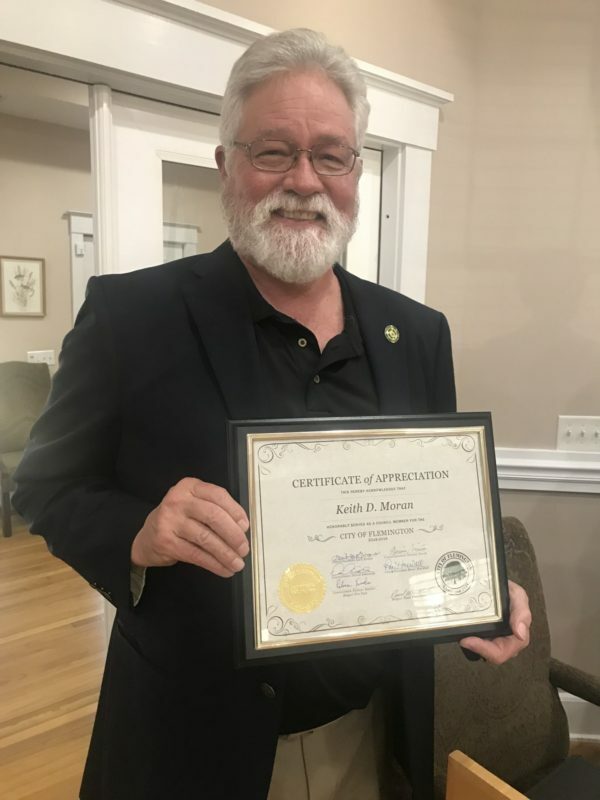 On March 12th, 2019, at their regularly scheduled meeting, the Flemington City Council accepted the resignation of Council member Keith Moran. Council member Moran has served the City faithfully since January 2018, and will be missed by all. The City of Flemington wishes Council member Moran best of luck with his move.